The world of business greases the wheels and workings of modern life and has led to the foundation of a capitalistic and egalitarian world. Business is all that is true to the human endeavours; including entrepreneurship, new ideas, initiative, drive, team work, efficiency and making the world a better place each day. In the pursuit of business Henry Ford invented the assembly line, Alfred Noble invented dynamite and Bill Gates started Microsoft. The list goes on and on. The desire for improvement each day produces better products, greater efficiencies and increased sales. The aspiration and practice of business drives the world in which we live today. The foundations of business skills begin early. The process of learning by experience is best started by enrolling in a course that teaches you the foundations of business. A course that teaches you how to operate in a business, guides you through the systems and processes of business, and gets you ready for the challenges of the world. If you want to learn how business works, a program or course in business is the obvious choice. A business qualification can take you in different directions, creating many opportunities and opening doors to success. Our emphasis on teams reflects the business world and helps improve communication and effectiveness. 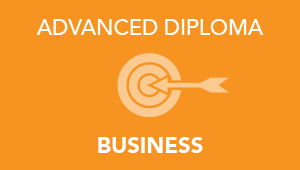 Our Business Courses take students on a journey of learning and development that combines a wide range of business skills. These include administration, marketing, project management, e-marketing, social media, managing finances and human resources. Students learn the primary functions universal to all businesses, which contribute to success in business. 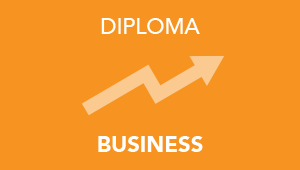 Business studies are ideal for anyone looking for a career in business at any level, and for those with the ambition to start their own business. From Certificate III courses specialising in business or business administration, to Diploma and Advanced Diploma of Business, you gain valuable skills, knowledge and experience that gives you a clear advantage in a crowded job market, and an edge over others to start a successful business yourself, at any stage of your life. If you are a school student doing a traineeship, a new trainee in any business, a young sales person, an entrepreneur, working in administration, or even a senior officer in the company, a course in Business is a must. With some of the most innovative and hands on trainers, Salford College of Business is an environment where all of your skills and aspirations are fostered. You will find yourself immersed in a world of excitement where all challenges are just steps to rise above the ordinary. At Salford College we believe that “books support you but trainers make you”.